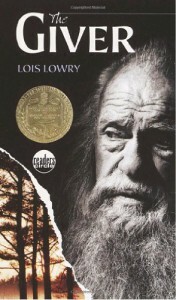 Just finished reading The Giver… the reason why I read until today is because I heard that there’s a movie about this book coming this year, and Meryl Streep will be in it, so it was a must. I can say in general terms that I liked the book and the story, was very well written and it was very easy to read. 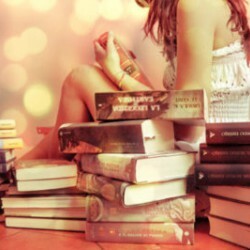 Although I must admit that the feelings it generated in me were not my favorites. This prohibition of individualism killed me, and worse, is that people did not know what they were missing. I like the ability we have to be different, and I like to be different. Not that I go dressed in a peculiar way, or that I wear glitter in every inch of my body, or that I go jumping down the street…. I’m just different, I have unique tastes, different ideas and thoughts that fill me with pleasure. It helps me to be curious and makes me want to learn new things and understand why other people like something or think a certain way. So I understand why Jonas left his community, I would have done the same. After discovering all that he is missing, not only the individualism, but the ability to have intense feelings, which are what give meaning to life, to everything we do. So I can say that I really liked that character, despite having 12 to 13 years ( with the mind of a teenager of 17). I saw a lot of him in me, and maybe that’s why I got so into the story and shared lots of feelings. So I conclude that I like living in the present, in this society … I know it has many flaws that can be improved, but that’s part of the history of mankind… make several mistakes, but always have ideals that move us every da . So I am grateful every day that I live where I have the ability to live for myself and the people I love most .